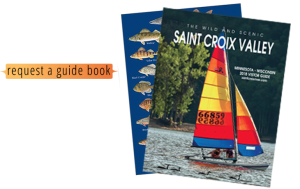 IF YOU’RE LOOKING TO ESCAPE CITY LIFE, or just everyday life, look no further than the St. Croix Valley’s campgrounds and parks. There is nothing more rewarding or relaxing than packing up and going on a camping trip. The smell of a campfire, the twinkle of the stars in the night sky, and the laughter of family and friends seem to put the whole world in perspective.